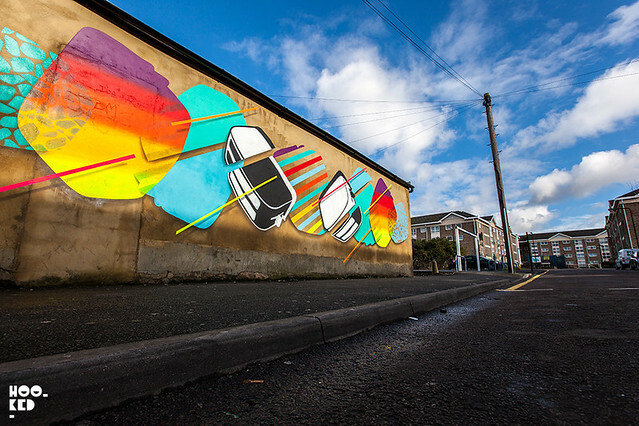 UK Street Art collective The Toasters have had a busy few months, taking to the streets with a series of fresh new murals across the UK. 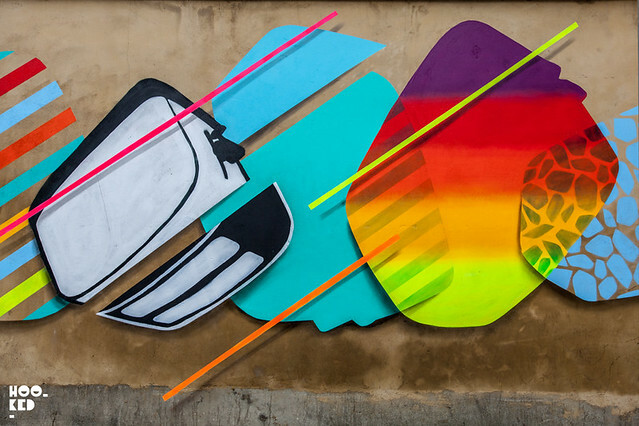 We recently featured one of the collectives newer London murals they created in a small car park just off Brick Lane featuring a series of toaster shaped silhouettes (covered here). The artists were also running a a series of free art drops with a number of fans managing to bag themselves free original pieces of artwork from the Toasters. Clues to the locations of their Toaster Tuesday artworks were shared on their various social media accounts and to date work has been left in Aberdeen, Edinburgh, Leeds, Liverpool, Derby and London. The Toaster Tuesday artworks drop has finished for the time being but we suggest following their social media channels listed below as you never know when the collective may start it up again. 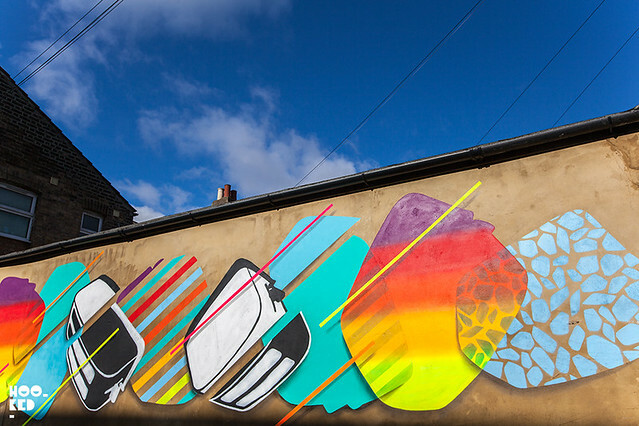 For their latest mural the Toasters have gone a little crazy with an eye popping colour palette that really zings in the Spring sunshine. 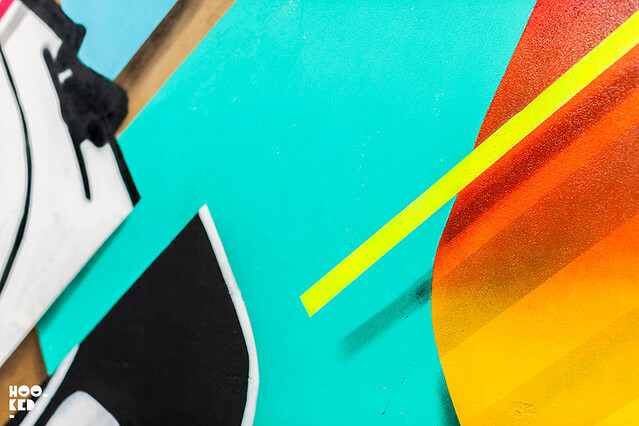 As with some of the previous works the Toasters continue to push and abstract the toaster silhouette which begins to take on a three dimension look when combined with the very effective drop shadows, giving the entire mural the appearance of being suspended in front of rather than actually on the wall. Located on Linford Road in the Wood Street & Walthamstow Area of London, the mural is the third created in the neighbourhood with the help of Wood Street Walls project. Inspired by art projects such as Wynwood Walls in Miami and the Bushwick Collective in Brooklyn, Wood Street Walls founder Mark Clack wants to brighten up his neighbourhood with some street art and he hopes to develop a similar community project in Walthamstow. 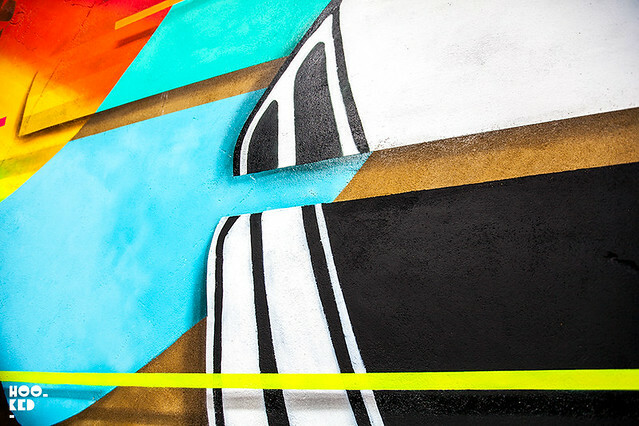 We previous caught up with Mark Clack back in November 2014 as they began work on their first mural project with local street artists We Like Static, documenting the artists as they were putting the finishing touches to the mural (covered here). Wood Street Walls also plan to establish a new creative space for Wood Street's artist community. Mark has launched a crowd funding project which plans to raise funds to revive the disused Manual Instruction Centre building, turning it into Wood Street Studios spaces. 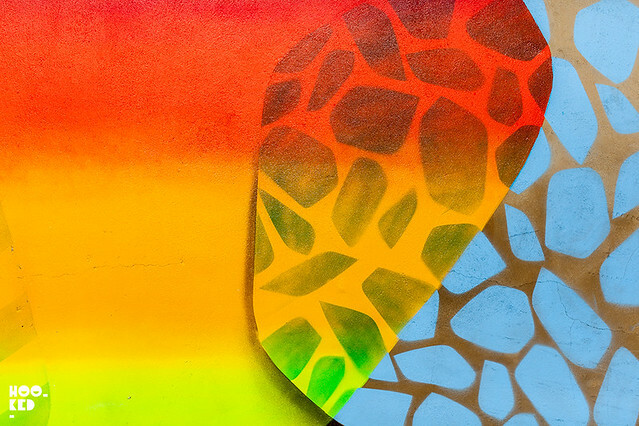 Alongside the much needed studio space for artists in the area, the space will also host free monthly workshops for the local community to encourage the next generation of young artists in Waltham Forest and the surrounding area.